The Astro Lounge is located in the heart of downtown Bend Oregon. It has been an iconic lounge since 2001. 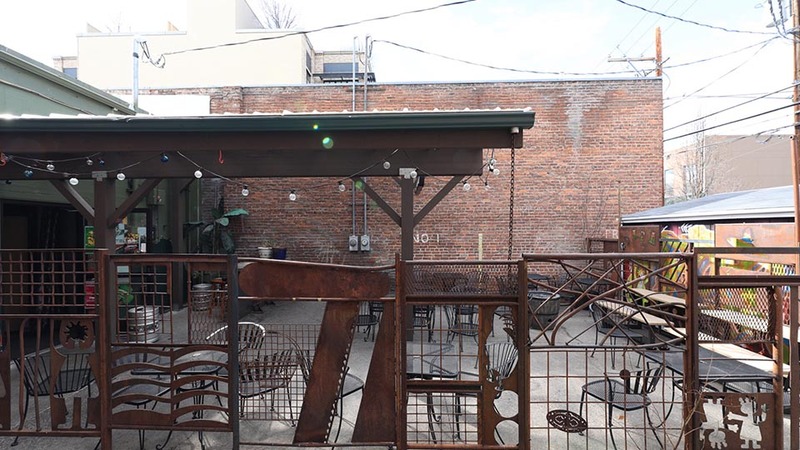 Located at 939 NW Bond St. in the heart of the downtown the Astro Lounge has been serving handcrafted cocktails and from scratch food to central Oregonians for 16yrs. 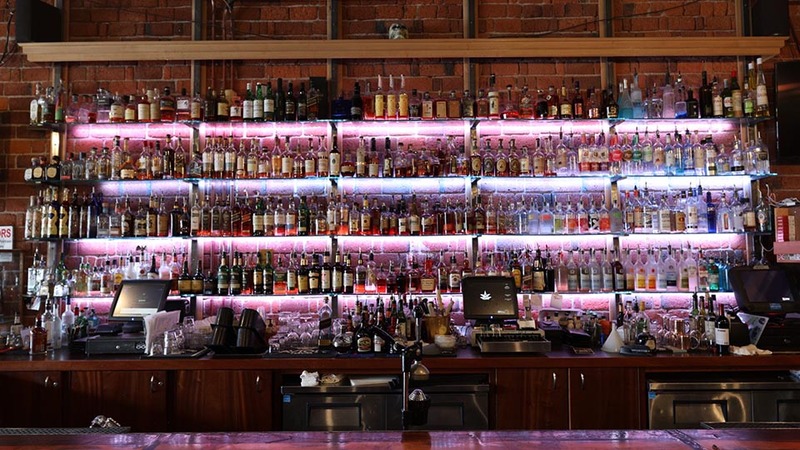 We have one of the largest selection of spirits in the state of Oregon. The craft cocktail list features cocktails made with high end brand names and infusions from Crater Lake Distillery. Our happy hour menu, which runs from 4:00 p.m. – 7:00 p.m., has 14 different cocktails that are deeply discounted. Our happy hour food menu has 28 items that are also discounted. We have a range of items from burgers and sandwiches to pizza, salads, and an assortment of appetizers. We have 10 beers on tap and a large assortment of champagne and wine to choose from. The Astro Lounge also has an assortment of non-alcoholic drinks as well. Please check out our events calendar at astroloungebend.com. We have open mic on Mondays at 8:00 p.m. with margarita Mondays. On Tuesday we have the longest running trivia game in Bend from 8:00 p.m. – 10:00 p.m. Wednesday we do bingo for the Bend Spay and Neuter Project from 6:00 p.m. – 8:00 p.m. and local beers are on discount all night. Thursdays, Fridays and Saturdays we have different acts from DJ’s, bands, or live music with different drink specials every day. We have outdoor seating in the front and the back weather permitting. Check us out on Facebook.